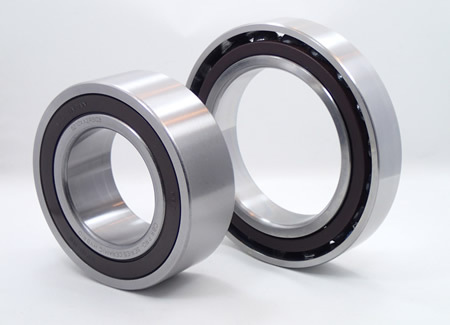 We stock the 6000, 6200, and 6300 series, up to a 100mm shaft size, for same day delivery. Larger sizes are available with short lead times. 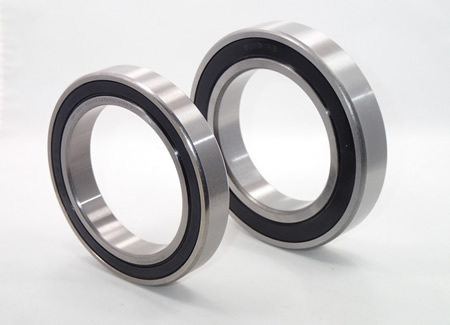 CBR can also offer a quick turnaround on the 5200 and 5300 series double row bearings, as well as the 7000, 7200, and 7300 series angular contact bearings. 6900 and 6000 series ceramic hybrid from 10 to 100mm bore. All feature a high-speed polyamide cage and C3 clearance. Standard lube is Mobil Polyrex EM grease. 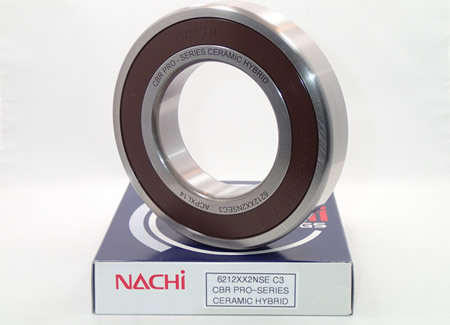 6200 series ceramic hybrid from 10 to 100mm bore. Features a factory molded polyamide cage on sizes up to 50mm bore, and a two-piece stamped steel cage for 55mm bore and larger. Assembled with C3 clearance and lubed with Mobil Polyrex EM grease. 6300 series ceramic hybrid from 10 to 100mm bore. Features a factory molded polyamide cage on sizes up to 50mm bore, and a two-piece stamped steel cage for 55mm bore and larger. Assembled with C3 clearance and lubed with Mobil Polyrex EM grease. 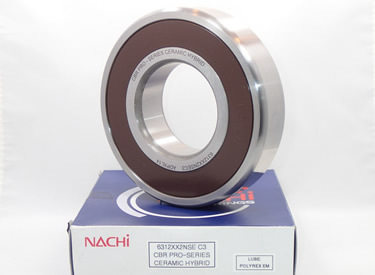 Ceramic hybrid 5200 and 5300 series double row and most 7000, 7200, and 7300 series angular contact bearings are available by special order with short lead times. Please contact us for more information.